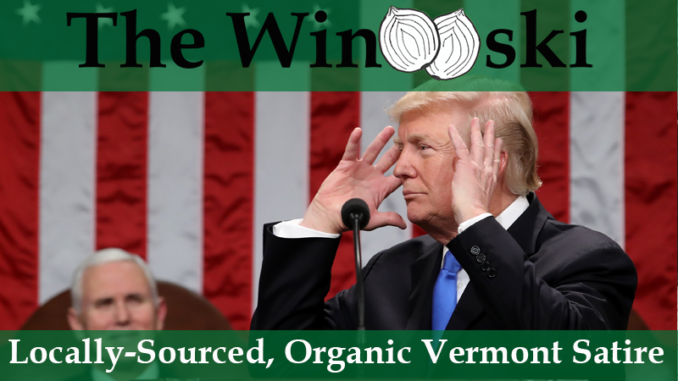 WASHINGTON DC – During his State of the Union address last evening, President Trump surprised many viewers by announcing a new focus on combating social climate change. He was not expected to bring up the issue at all, but has now said that all evidence points to a devastating future if current social climate trends continue. The president called attention to the number of women currently in Congress, as well as the increasingly diverse US population as indicators that the social climate is changing drastically. He then went on to mention conversations with several affluent white males, noting how hot the water they were in seemed to be getting.